This post was written yesterday and I really wasn't sure if I would ever hit the publish button. But in an effort to be real and share how I am doing, I have decided to open up my heart a little bit for each of you. I'm writing this as I'm sitting comfortably in bed waiting for hubby to get home from work. He is flying nights right now, so our schedule is all kinds of weird. Earlier this week I was chatting with a friend about the decisions (or lack there of) my husband and I were making regarding IVF. Side note: My test I had a few weeks ago went fine, although painful and one I hope to never experience again. Since the test indicated no issues, I qualify to move forward with IVF if that is what we decide. Anyway, I was being open & honest with my friend about the reasons I'm hesitant to go forward with IVF and that I really do not know if I want to proceed. She really encouraged me to sit down and talk with B about what I want and how I'm feeling about the entire situation. I am so glad that she pushed me to do this. I have continuously put off talking in depth about our options with B because his schedule is busy & he has a lot of stuff to think about with flight school right now. In my mind I kept telling myself that I just need to wait till flight school is finished, but I realized this was just an excuse. I took the opportunity today, while we were eating at a local diner, to talk to B about IVF because I did not know the next time I would have a dedicated amount of time to talk with him. We had a great conversation over fried okra that included compassionate words, heated debate, angry comments, selfish words, honest opinions, & heartfelt tears (on my part). What came out of the conversation is a realization that I'm still hurting & in grief. And we think that my pain and fear of another loss is holding me back from moving forward 100% with IVF. I'm not sure if either of us were aware of this or we just were in denial that I keep burying my thoughts + feelings. As I sit in my room with tears running down my face right now I have realized that I have a lot of work to do in my heart & mind to be ready to begin this process of IVF and continuing to try and start a family. I have always struggled with confronting my pain & fear, I'm really good at pushing it down as deep as I can in hopes I do not have to ever deal with it. But my amazing + loving hubby recognized yesterday that the pain of our past losses is still very real for us (especially me) and before we can do anything I need to work through my grief. I'm really good at putting up a front and "acting" like I have it together and nothing can stop me, but in reality I'm only human and I have a lot of sadness grief, and anger I have not confronted. We both really want a baby in our arms but my grief + anger is holding me back from truly wanting this right now. I know this will be a tough road ahead of me, but with B and others helping me along the way I hope to get to a place that I want a baby and will do anything so we no longer have empty arms. I'm so blessed to have friends that push me to do what I need to do, that encourage me, that ask me how things are 'really' going, and love me despite my stubbornness. I'm also thankful for a patient, loving, caring, and amazing husband who is great at telling me how it is and what I need to do in a loving manner! Until then, I'm focusing on my heart and trying to align my mind & heart to be positive about the future of growing a family. I'm linking up with A Royal Daughter for Desire to Inspire. 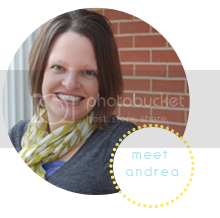 If you have not checked out her posts this week for National Infertility Awareness Week, go check it out! This last Monday I had the honor of sharing in her Lies Women Believe About Infertility post. There are so many decisions to be made and you will make the right ones in your own time. Hugs! Thank you. It can be overwhelming at times, but we are trying to take it a day at a time. Amen girl! Thank you for you encouraging comment. You are also an amazing woman and I'm so glad I met you! hugs to you. Thanks! We truly appreciate the prayers.